Nearly 18 months after taking office, New Zealand Prime Minister Jacinda Ardern has made her first trip to China. 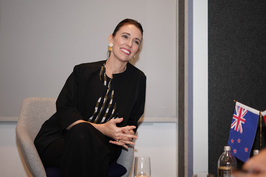 Though it was cut short in light of last month’s terror attack on two Christchurch mosques that left 50 worshippers dead, Ardern sent as precise a diplomatic signal as possible during her 25-hour visit. In plain terms, Ardern told us that Huawei is not banned from New Zealand and that the country had three priorities in 2019 with regard to China: looking for opportunities in the Belt and Road Initiative, collaborating on climate change, and upgrading the China-New Zealand Free Trade Agreement. 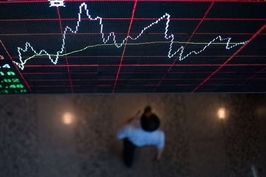 Bloomberg began adding yuan-denominated Chinese government and policy bank bonds to its Bloomberg Barclays Global Aggregate Bond Index Monday, further opening China’s debt market to international investors with money in investments that track the index. China’s services activity expanded in March at the fastest pace in 14 months on new business growth, our survey showed Wednesday. The Caixin China General Services Business Activity Index rose to 54.4 from 51.1 in February, marking the strongest growth in the services sector since January 2018. 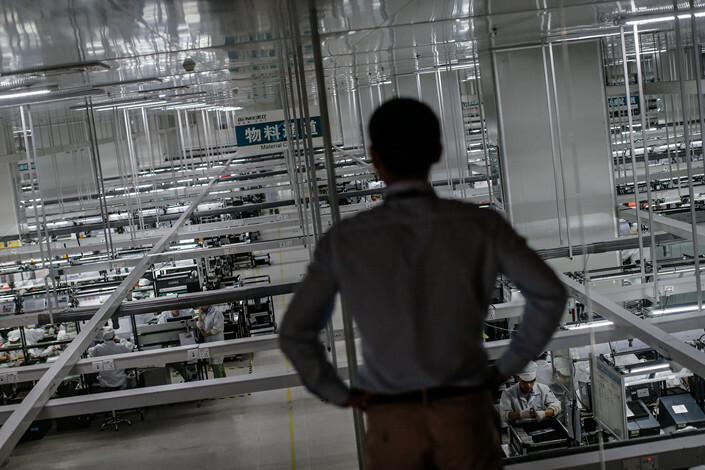 This coupled with expansion in the manufacturing sector boosted the Caixin China Composite Output Index, which covers both manufacturers and service providers, to 52.9 in March, the highest since June. Are central government departments heeding call to tighten their belts? Of the 102 central government departments that released their 2019 budgets Tuesday, nearly half, or 46, reduced their general public spending budgets from what they actually spent last year, according to Caixin’s calculation based on official data. However, 49 departments increased their budgets compared with last year’s actual spending. Seven departments did not provide such figures. The budget reductions by some departments came after Beijing promised to cut taxes and fees this year by nearly 2 trillion yuan ($297.8 billion) to lighten the burden on businesses struggling amid the slowdown in economic growth. Reviews have begun for the 44 applications submitted by companies looking to list on the new high-tech board, and inquiry letters were sent to three firms Friday, just five working days after their reviews began, according to the Shanghai Stock Exchange. It normally takes far longer for companies looking to list on the country’s stock exchanges to receive feedback from the national securities watchdog which reviews their applications, the China Securities Regulatory Commission (CSRC). Currently, it takes around one month for the CRSC to give feedback after it starts reviewing IPO applications to the ChiNext and the main boards in Shanghai and Shenzhen, observers say. In all likelihood, the zeal among local governments to tally just about everything in their social credit rating pilot programs stems from a 2003 state initiative that included "morality" in its wording. But in fact, a 2006 policy document already narrowed the effort to financial credibility, such as loan repayments and contract fulfillments. Already, there has been pushback from Beijing on what some call local abuse, with some accusing local authorities of ignoring laws on the collection of personal data. In our in-depth follow-up to Monday's critique, we look at how the central government is attempting to rein in what, at this point, has become a fragmented, seemingly unreliable system. Bankrupt smartphone maker Gionee Communication Equipment Co.’s liabilities totaled 9.64 billion yuan ($1.4 billion), more than double its current assets of just 3.84 billion yuan, the administrator handling the case said, as the former high-flyer prepares to be liquidated after falling victim to intense competition. The administrator disclosed its estimates of Gionee’s assets and liabilities at the first meeting of the company’s creditors Tuesday in its hometown of Shenzhen, just months after it was forced into bankruptcy. A planned liquidation discussed at the meeting would make Gionee the first major victim of a looming shakeout in China’s fiercely competitive smartphone sector, which is entering the end of a classic boom-bust cycle after several years of explosive growth. Green lights from regulators this week for 30 foreign games to enter China will be good news for Chinese gaming giants Tencent and NetEase, which have struggled to get domestic gaming approvals as of late. UCloud Information Technology, a Shanghai-based cloud services provider, is the only dual-share candidate among dozens of companies whose applications have been accepted by securities regulators. 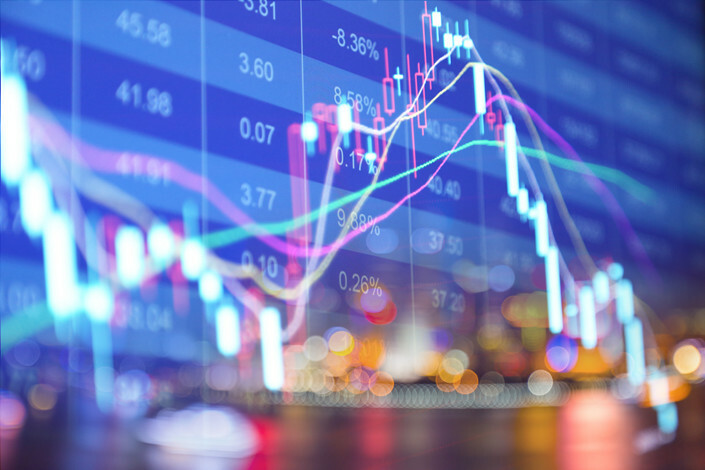 The businesses are being considered for listings on the Shanghai Stock Exchange’s new Science and Technology Innovation Board. 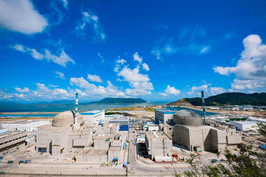 China’s state planner announced power rates for the first batch of China’s advanced “third generation” nuclear reactors, which will receive a guaranteed 0.4141 yuan ($0.06) to 0.4350 yuan per kilowatt-hour (kWh), in a trial that will last until 2021. The trial rates were lower than many in the industry expected, reflecting negotiations across China's power system as well as the falling costs of generating electricity in the country. Alibaba Group Holding Ltd. said it has invested in furnishing services startup Many Craftsmen, another move into home improvement for the e-commerce giant. Alibaba’s statement announcing the deal did not disclose the financial details. The furniture services provider will also now partner with Alibaba’s business-to-consumer platform Tmall to offer at-home furniture assembly and repairs.